“Peru, the richest country in the world,” invites us to discover that being rich isn’t about having the most; it’s about experiencing the most unforgettable moments. 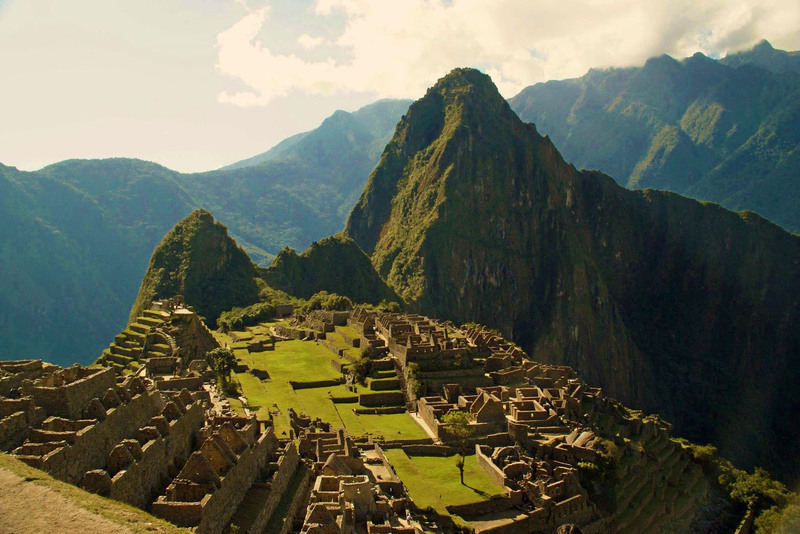 And these experiences begin on your Adventure to the Ancient Cities, Peru ​June 2​9 – July 1​0, 2020, a place where the diversity and authenticity of the culture, nature and food hold the essence of life itself. One I have been wanting to experience for over a decade! My team and I are going to Peru, and this is your invitation. There are a very limited number of spots left for this trip, as it filled up just through word of mouth and no advertising. So, if Peru is on your list of MUSTS, join us in 2020 for the adventure of a lifetime!!! Peru is a land of beauty, amazing people, and a rich history. The land of the Incas. Our Journey will certainly cover most of the places people want to see when visiting this amazing country. We will arrive in Lima after our flight from Los Angeles and then catch a short flight to Cusco. 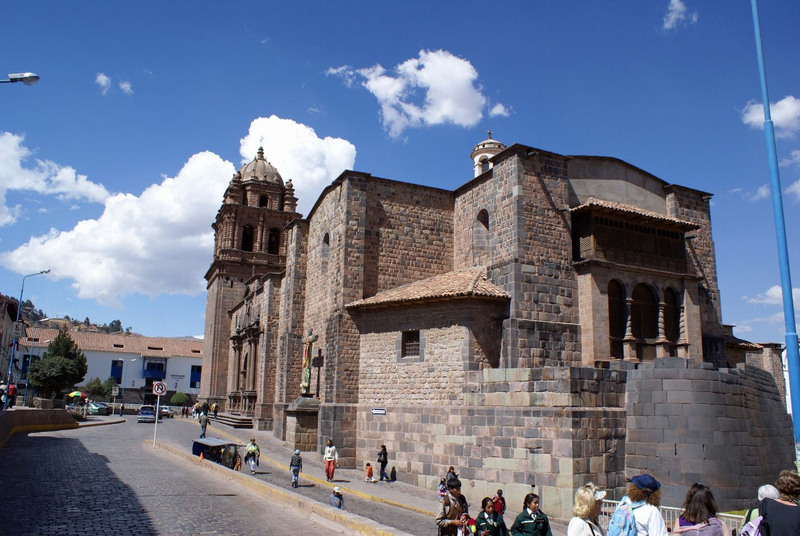 In Cusco we then catch a bus and head for the Sacred Valley where we will acclimate to the high elevation, participate in a ceremony with a Quechua Shaman, and experience some of our first Incan ruins. 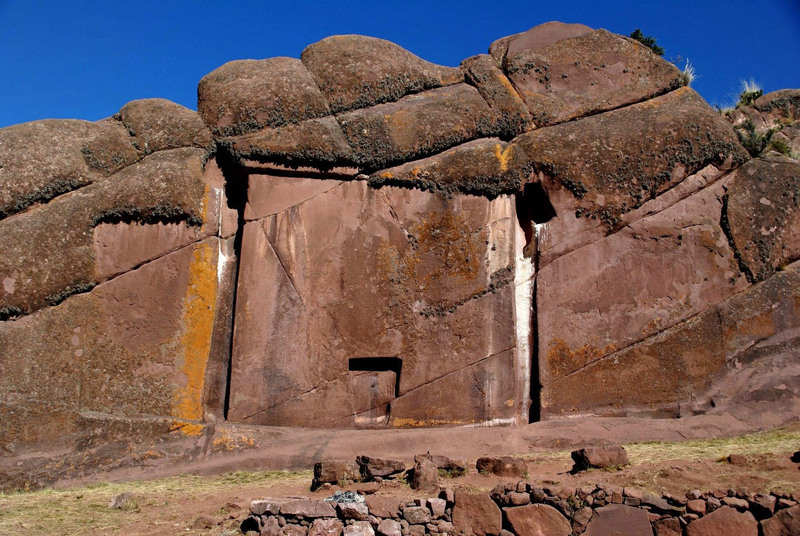 We will visit one of the larger Incan complexes outside of Machu Picchu, the site at Ollyataytambo. 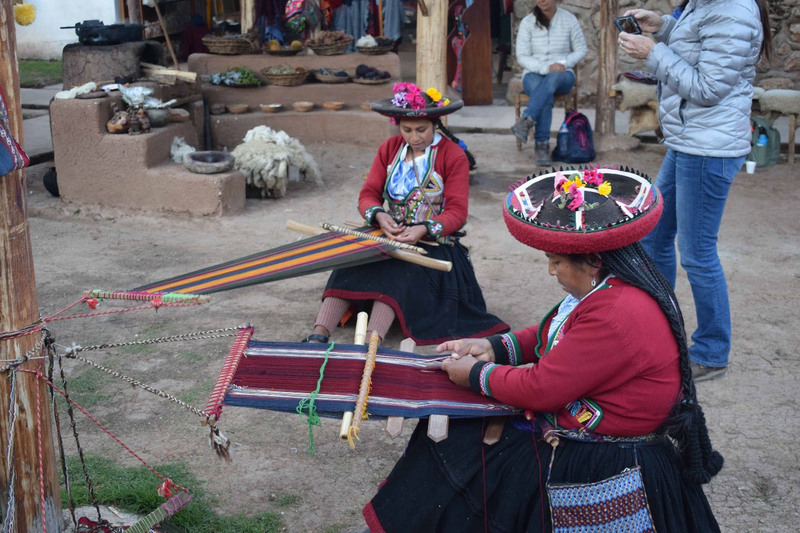 Our group will also visit the village of Chinchero, a place where a group of ladies have created a weaving co-op. We will see the natural elements they use to wash and dye the yarn, and the ancient way they weave the textiles ... which we then will have an opportunity to purchase. Of course, no trip to Peru would be complete without visiting Machu Picchu. After our 2 visits to Machu Picchu we will spend some time in the city of Cusco. 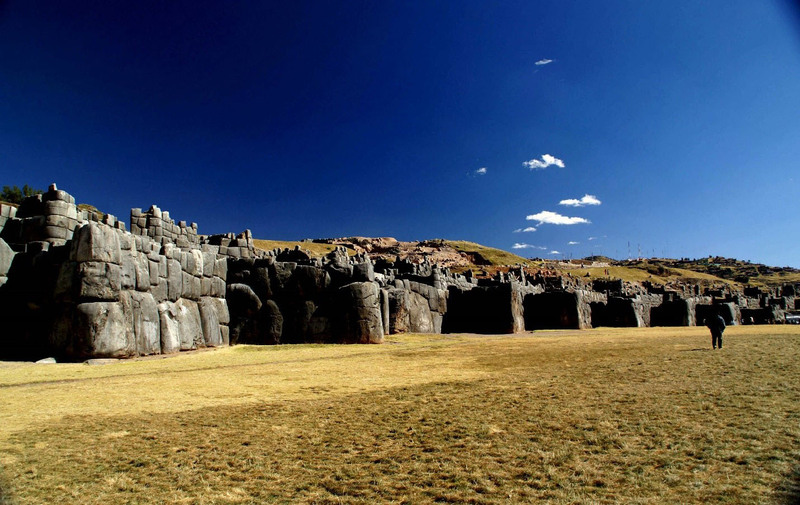 In Cusco we will visit the famous Incan site, Sacsayhuaman. 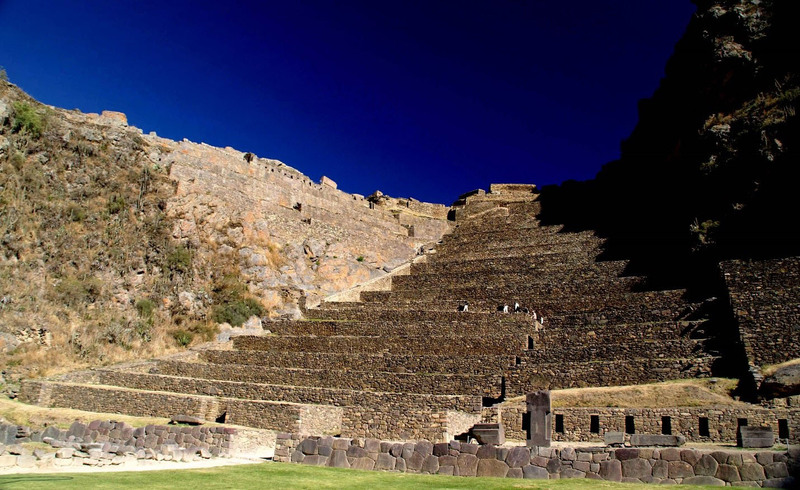 We will also visit the Qorikancha, ​the site ​of a church built on top of an older Incan ruin. 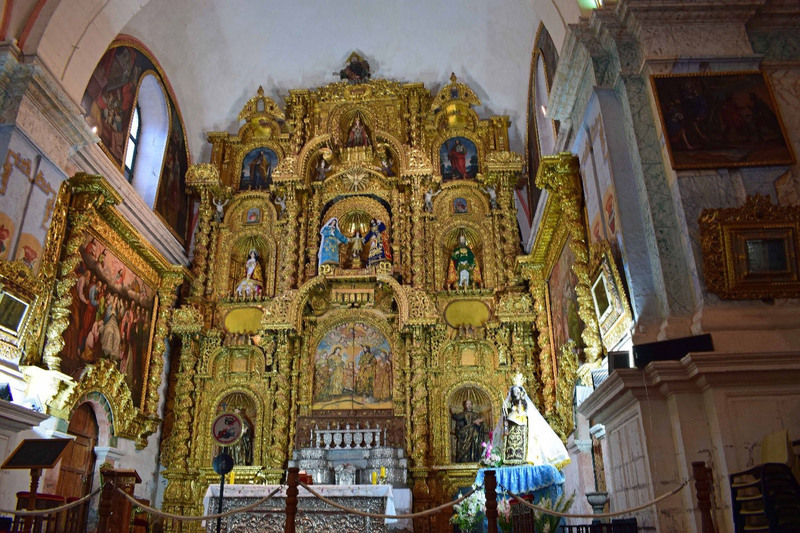 On our walking tour of Cusco we will visit the Cusco Cathedral. This is a site that on the surface doesn’t look to be anything special, but once you get inside, the majesty of this special place begins to unfold at every turn. From Cusco we head to Lake Titicaca, a beautiful and mysterious lake that is known for its UFO activity. 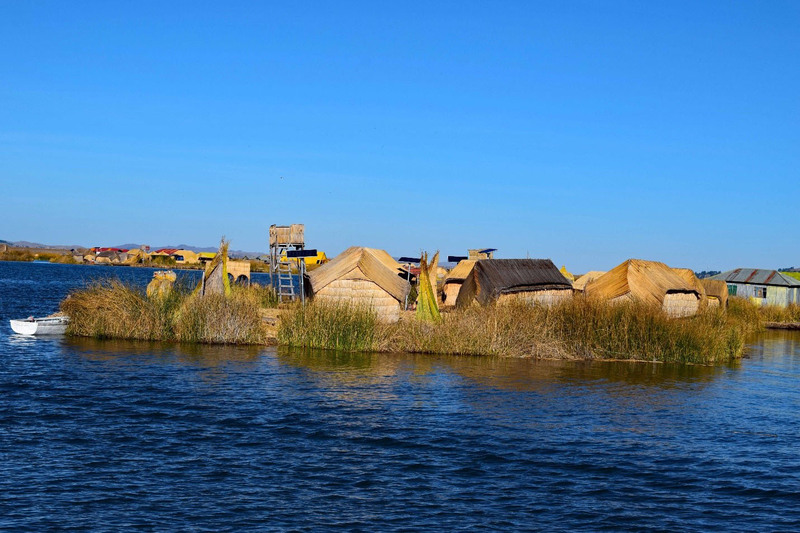 While at the lake we will visit the Uros Islands, a series of floating man-made islands located in a bay in the lake. 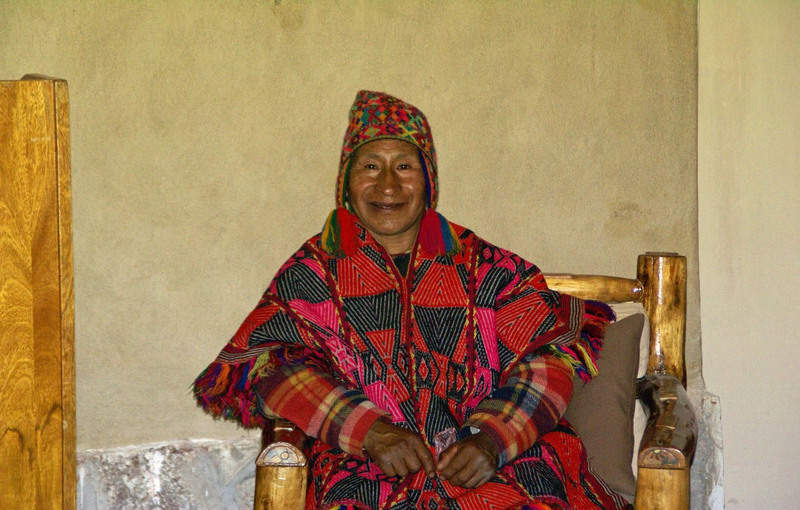 We will also visit the Island of Taquile where a group of natives also have formed a textile co-op. 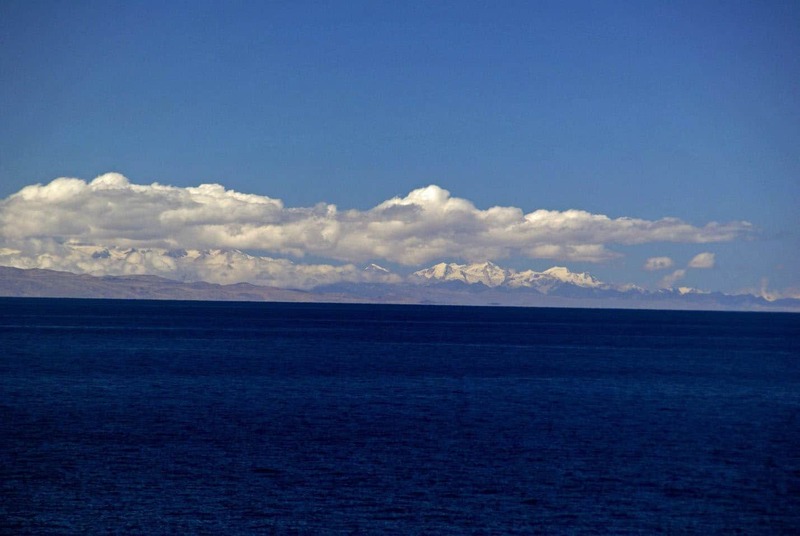 From this island you can see the snow-capped mountains of Bolivia. One of the highlights for many is the Star Gate at Aramu Muru. Breakfast at the hotel and then group will have a meeting space available for 4 hours. This evening, group will be with Shaman, who will be doing a “Pago a la tierra” Ceremony. ​Breakfast at the hotel and then group will begin the tour at Huayllano, the lake port for the Isle of Taquile, whose inhabitants give a friendly welcome to visitors. Traditions, customs and colorful costumes are maintained on the island. The islanders are skillful craftsmen and employ the techniques developed over the centuries by their ancestors. You will be welcomed into one of the houses to share their activities, such as weaving. After this is a delicious lunch made from local ingredients. Then, a walk back to the Main Square to board the launch that will take you to the floating islands of Uros. These islands consist of layers of totora and are their inhabitants' homes and workplaces. Note: Taquile Island has some uphill steps portions. Breakfast at the hotel and then group be picked up for a half day tour. Pass by Ilave district, located 70km from Puno city, then we arrive to Aramu Muru. These are strange sandstone formations that over time have formed several figures such as the tired horse, the Inca drinking fountain, and Uta or Aramu Willka, which is known as the Tridimentional Gate with great similarity to the Puerta del Sol of the Kalasasaya Temple in Bolivia. It is also said this a gateway to another dimension. Many mystical beliefs have been created around this door, so this place will have a lot of visits especially for those who want to explore the energy. At scheduled time, group will transfer to the airport to check in for their onward flight. Join Sunny Dawn Johnston and her team for an Adventure to the Ancient Cities, Peru June 29 – July 10, 2020. This trip requires a $750 non-refundable deposit. Get the Early Bird Pricing now. Price will go up ​4/3​0/2019! Total trip cost will be $5222. The trip will include round trip air from Los Angeles. The trip price includes 12 nights hotel accommodations, internal air, transfers, train rides, admission to all sites (there are many), all guides, all breakfasts, a couple of lunches, and two or three dinners. This price does not include workshop time with Sunny. It is suggested that you contact Jerry Miner to set up a payment plan where you can on a monthly basis make payments towards your trip. Otherwise, there will be another deposit for airfare required in summer of 2019. Final payment will be due ​2/28/2020. It is also highly recommended that you purchase trip insurance. You can do this through Jerry, or you can purchase on your own. Many folks buy annual travel insurance plans that cover their travel for the year. Ask Jerry Miner if you need further details. This is the itinerary we are looking at. This is subject to minor modification, but is expected to represent the places we plan on visiting. ​There will be an additional 10 hours of teaching, learning and experiential time with Sunny and her team, scheduled around the excursions in Peru. There will be a special Peruvian excursion added, open only to those that participate in the workshop. Of course, Sunny and her team will be joining you throughout … taking in the mountains, soaking up the energy and hanging where the fun is too. That is the great thing. We will all be there together having the time of our lives. Sunny’s teaching is very organic. Our Adventure to the Ancient Cities of Peru will offer you an opportunity to do some healing during the day and some playing at night… well, actually, we will be doing both… the whole trip. Sunny will lead the way in finding harmony in life… something you may very well be yearning for yourself. Sunny will be joined by her amazing team: Soul Musician Kris Voelker will be offering her beautiful music during the workshop times and Deb McGowan and Robin Harned will be there to support you with their myriad of talents as well. Oftentimes known as the fun ones, Sunny’s team has truly remarkable gifts of their own to share and are thrilled to be joining this Adventure.